The 15th century heralded a new era of global exploration, empire building and transoceanic commerce. The early modern period also coincided with changes in Europe’s social, political and religious orders through the Reformation to the Enlightenment. Emerging scientific rationalism was the new force which would shape the way that medicine, itself emerging as a science based discipline, approached psychoactive substances. Prior to Spanish exploration of the Americas, Europe of the old world had a very limited repertoire of psychoactive substances. There was no opium, caffeine (in the form of tea or coffee), no tobacco or cannabis and the native European solenaceous hallucinogens and other herbs used in healing were enmeshed in superstition or dispensed with limited understanding by apothecaries. There really was only one psychoactive drug, alcohol. It had to fulfil a wide range of social, medicinal and intoxicating functions. Around 1250, the technique of distillation had been developed. The alcoholic spirits made during the distillation process were known as aqua vitae, “water of life.” For most of the latter part of the Middle Ages, distilled spirits held the most interest for monks and physicians, who considered it as treatment for a variety of illnesses. The conquistadors of Spain were to stumble upon a whole new botanical world which offered an unimaginable range of drugs and treatments that ultimately revolutionised not only medicine, but the basis of everyday psychoactive drug use throughout the known world. So it was with great surprise that botanists, physicians and Spanish druggists went to the New World not to substitute from the local shamans, but to learn from them. Many volumes cataloguing the explorers and settlers accounts of the botanical and medical wonders of the Americas caused a sensation in Europe, which was still in the grip of the Spanish Inquisition (not officially abolished until 1834). Sugar (a psychoactive substance), first hailed as a medicine, became a concentrated source of energy for young and infirmed, (once the initial reaction of nausea became tolerated) and it quickly introduced the palates of Europe to sweetness which had previously only been accessed in limited amounts from luxuries like fruit and honey. 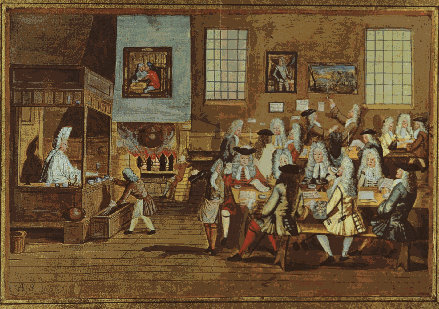 The new sweetness transformed many of the acrid, bitter psychoactive substances into desirable, palatable forms, tobacco was cured with molasses, tea and coffee became sweet, calorie rich beverages, and sweetened chocolate (drunk in a bitter form in the Americas) and bon bons essentially became the beginnings of a global confectionary industry. Although the focus here is on the rapid change of the drug landscape within Europe, it should be noted that there were other transformations taking place through the spread of opium use in and from China, and a long history of change in the use of alcohol, opium, cannabis (mainly hashish) and coffee in the Muslim world of the near east and Africa. After periods of debate and shifting regulation, coca leaves were grown and traded widely in the New World by the Spanish colonists, mainly because it allowed native workers in the silver mines to work more productively. Transportation of the coca leaves to Europe, however, was not successful, the potency of the leaves diminished significantly on the long sea voyage across the Atlantic and as a result, medical opinion of the effects and benefits of coca in Europe was initially sceptical. But it would not be long before the sensational scientific advances in chemistry of the industrial revolution changed the concept of ancient antidotes, traditional healing herbs and plants and for the first time in 1500 years, superstition and magic began to disappear from the medical realm. They were no longer associated with sacraments and rites, freed from mythicism. The successive discoveries of the active ingredients from different psychoactive plants during the 1800’s, changed medicine and drug use forever. In 1806, an active alkaloid component of opium (morphine) was isolated, followed by codeine, atropine, caffeine, heroine, mescaline, barbiturates and cocaine( in 1860). These new forms of ancient drugs could now be delivered in standard dose, commoditised, commercialised and made available to the burgeoning populations of industrial Europe. Along with new methods of administration, understandings of physiology and pharmacology and the new scientifically based and commercialised medical industry, human health care was transformed. So where to for our drugs of focus, cocaine and alcohol? Of course, these drugs were part of a whole cocktail of new and old remedies, in the late 19th century, all of them legal and widely available. The paper he published was read by upcoming young neurologist Sigmund Freud who was supplied cocaine by both Merck and Parke-Davis for his own self experimentation. His 1884 publication, Uber Coca described with great fervour, “this gift from nature which produced the most gorgeous excitement, exhilaration and lasting euphoria. He reported its benefits for treatment of a range of conditions such as indigestion, impotence, morphine addiction, alcoholism, nervous debility, depression and migraine and hinted as its use as a local anesthetic. 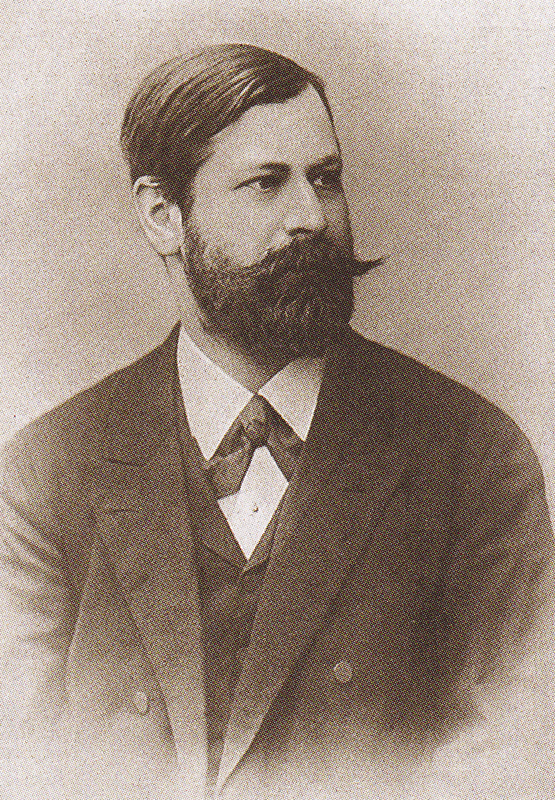 Freud became a world authority on cocaine, but his failure to report the addictive properties of the drug and the dangers of chronic use in high dosages (to which he succumbed) would destroy his reputation. He also missed one of the most useful characteristics of cocaine, that of an ophthalmic anesthetic. In 1884, Carl Koller, an associate of Freud’s demonstrated this property by applying a cocaine solution to his own eye and pricking it with pins. It was widely used in eye and nasal surgery until synthetic local unaesthetic substitutes became more suitable replacements. Freud’s enthusiasm for cocaine as an agent of pleasure no doubt helped fuel the huge popularity of the drug throughout the 1890’s. 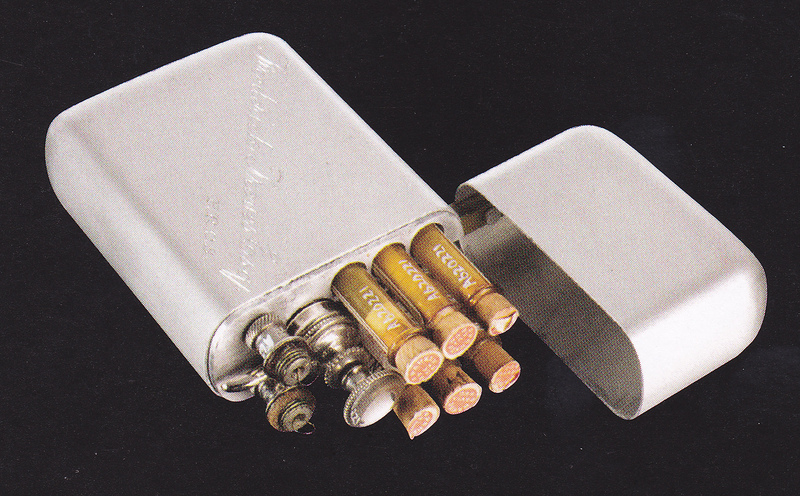 It was sold in many forms in pharmacies, and Parke -Davis even sold luxury cases containing hypodermic syringes and vials of morphine. The drug was promoted as a “panacea that can supply the place of food, make the coward brave, the silent eloquent”. Its use was further popularised by Arthur Conan Doyles’s character Sherlock Holmes, the eccentric, intellectual alter ego of Doyle, himself a user. 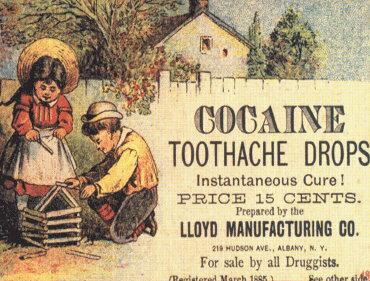 Cocaine was embraced by the medical world and commercialised on a large scale. By the 1890’s, there were more than 100 tonics and beverages containing concentrated cocaine, and companies with now familiar names, like Merck and Parke-Davis were churning out all manner of treatments like throat lozenges, tablets, tooth drops, nerve tonics, pick-me ups, cold and asthma treatments, it was the wonder drug of the 19th century. 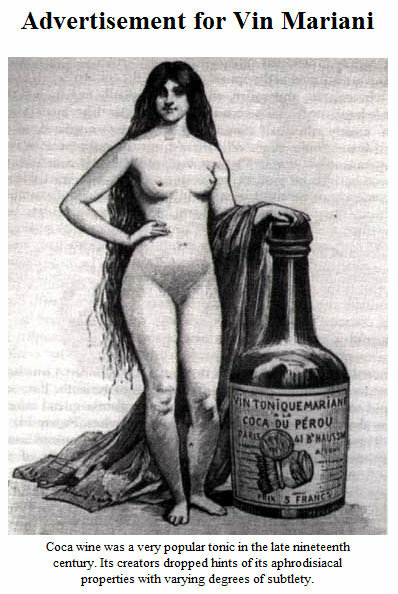 The patented Vin Mariani was a Corsican product, a mixture of Bordeaux wine and a preparation of coca extract which promised those who took it, restored health, energy, vitality and strength. It was enjoyed by Queen Victoria, Thomas Edison and Pope Leo XIII awarded it the Vatican Gold Medal. It was popular internationally, and it was this tonic that would inspire the later creation of Coca Cola. However, by the end of the 19th century, the problems of addiction to cocaine and other drugs were beginning to surface, as it’s recreational abuse and growing number of addicts was being realised in the public domain. At the same time, the perils of morphine addiction were also cause for community concern as its widespread use during the American Civil War had resulted in more than 400,000 soldiers with “soldier’s disease” or morphine addiction, and it was by now known to be far more addictive than opium. The “drugs menace” was beginning to manifest itself as the true effects of biosynthesised psychoactive drugs, now in pure form, in much higher doses than their native plant counterparts were unleashed on the working classes. These commonly used drugs, as well as alcohol and tobacco became part of the “moral panic” of early 20th century America, and became enmeshed with social and racial tensions of this time. Temperance movements drove a change in community attitudes that would see gradual regulation of many substances and the new wonder drugs of the psychoactive revolution began to acquire a stigma similar to the modern concept of illicit substances.